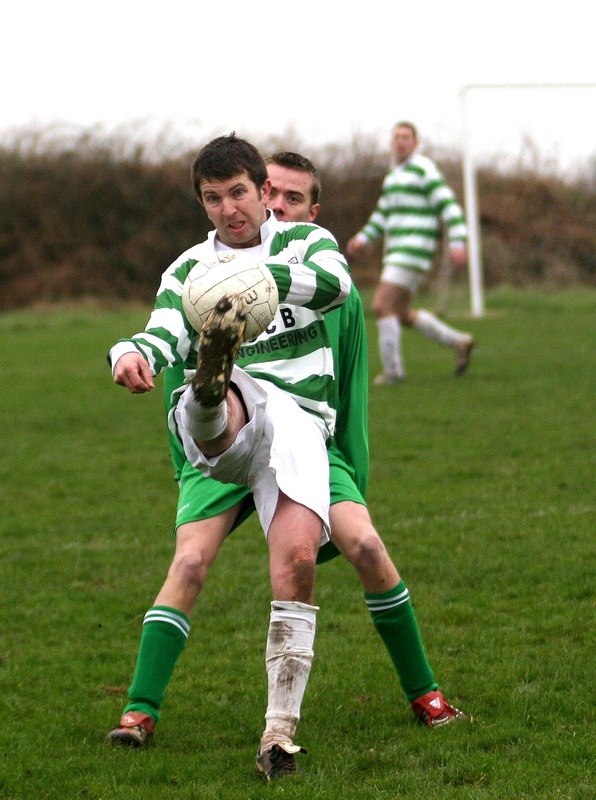 Greenmount Rangers hopes of avoiding relegation from the Murphy’s Stout AUL Premier League were massively boosted by Sunday morning’s 4-1 win over hosts Glenthorn Celtic at Kilcully. Rangers fielded quite an inexperienced side, including four from the B team. They showed their usual battling spirit and deserved their unexpected victory. No doubting that this was a basement battle, the lively encounter littered with defensive errors and missed chances. Christmas may be long gone but the Glenthorn defence was in generous mood and Greenmount picked up gift after gift and the three-point bonus enabled them jump above their victims in the rankings. 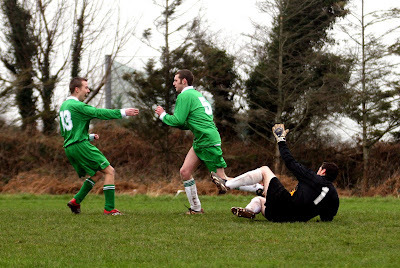 To be fair, two of the goals came late on and Glenthorn didn't enjoy the best of luck and the early injury to Darren Kennefick - he hurt a shoulder as he clashed with visiting keeper Brían Morgan – robbed them of their most potent striker. 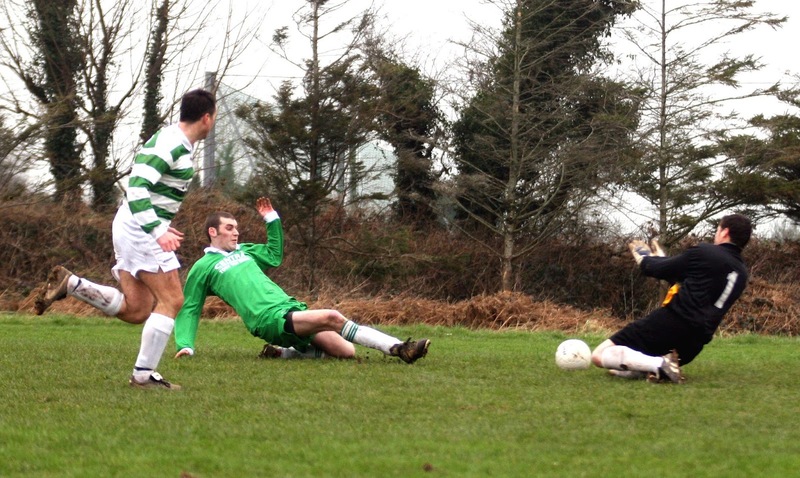 Kennefick was substituted in the 16th minute but by then the Celts were already a goal behind. That opener came in the 8th minute and featured two of the long serving Greenmount stalwarts. Full back Pat Tynan got in a terrific cross from the right and Eddie Cotter drove home after a lay off by Ken Kelleher. There may have been a slight deflection and the shot squirmed in under the keeper's body. 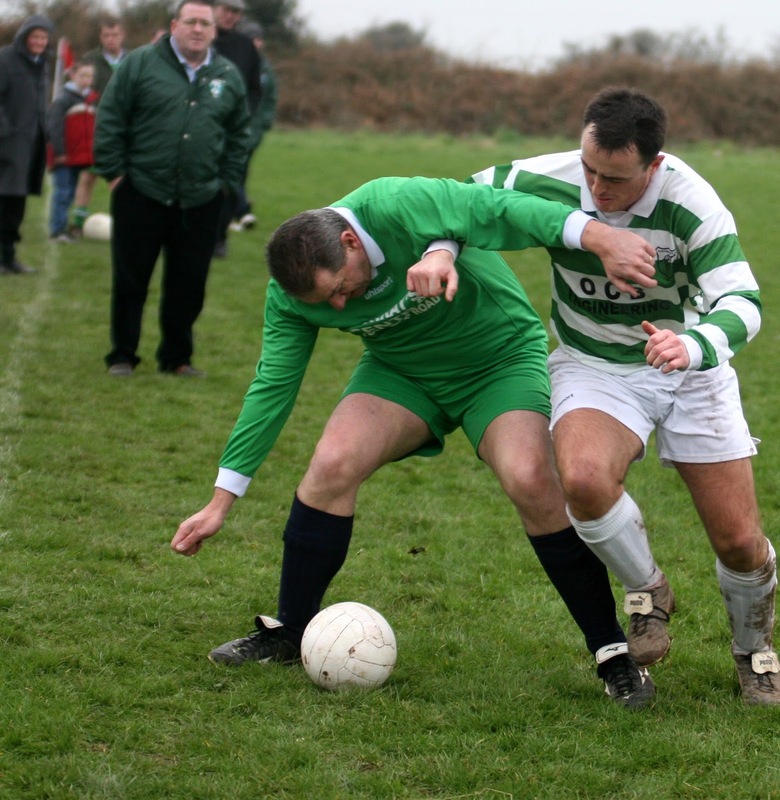 If the Glenthorn defence wasn't at its best, neither was the forward line. They should have had made it 1-1 six minutes into the second half. Sub Connie Kent found Mickey Forde on the right and his cross was perfect for skipper Colin Dorney. But, unmarked at the far post, Dorney headed over the inviting target. Three minutes later, Alan Vaughan’s long ball into the box found Kent in behind the backline but his volley off the dropping ball looped well over the bar. Celtic kept trying to get back into it but were let down by their defence in the 68th minute. 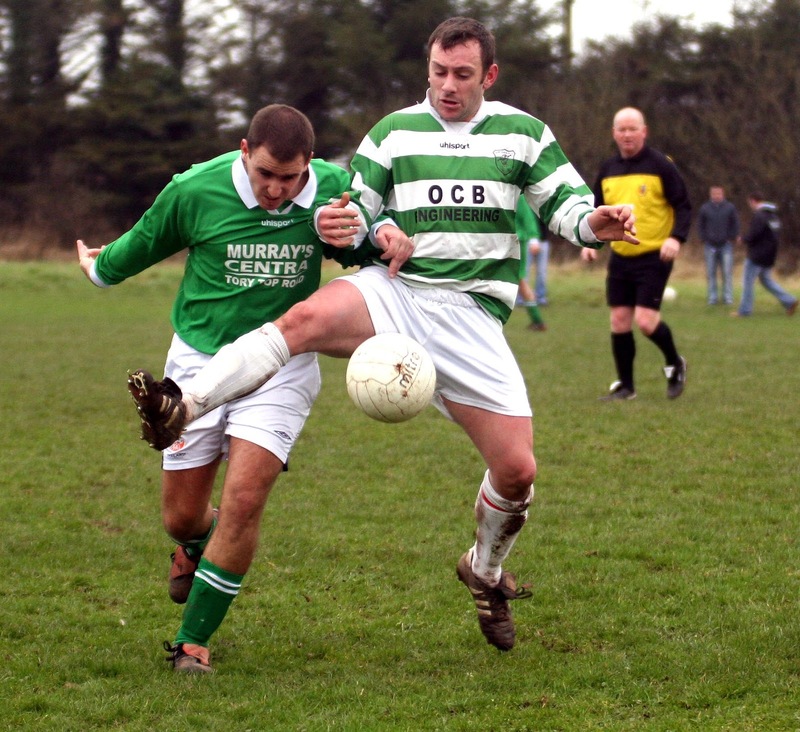 Then Greenmount’s Mick Murphy, who had been taking up good positions throughout, pounced on a short back pass and prodded the ball low past the advancing keeper to double the Rangers haul. Murphy could well have made it 3-0 two minutes later but, unmarked, hurried his 17 yard shot and didn't test Walsh. It could have been costly as Glenthorn pulled one back in the 74th minute. Midfielder Kevin Egan started the move and both Noel and Colin Dorney were involved in the build-up before Forde flashed a shot across Morgan and in by the back post. They were close to an equaliser in the 81st minute. Then a Forde cross broke to Colin Dorney in the box but he was blocked at close quarters. Rangers cleared quickly and player-manager Greg Cooney, just on as a sub, came close to scoring but Walsh saved. Rangers scored two more in the final three minutes as the home defence again disintegrated. Sub Niall O’Riordan was the first to benefit. 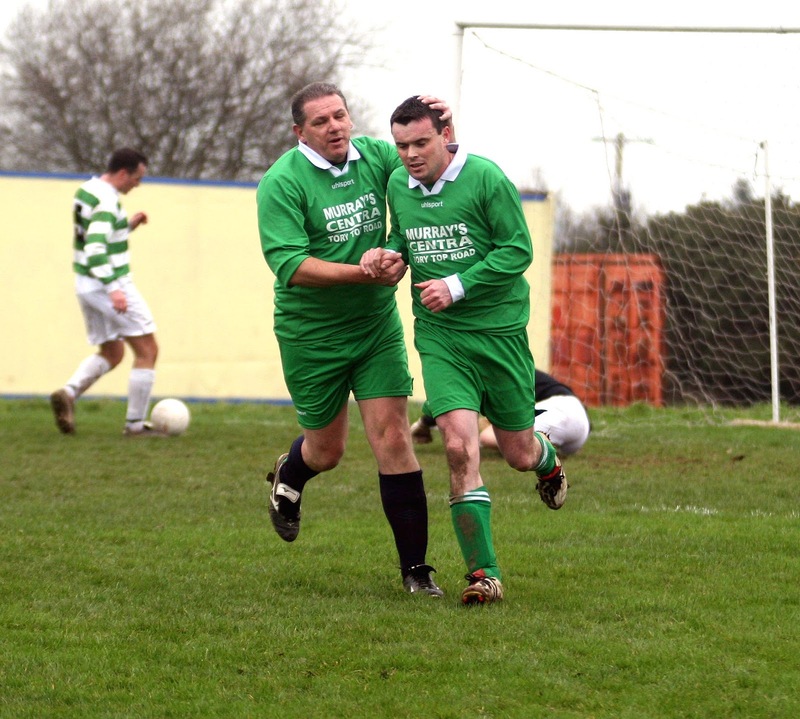 He pounced on a slack pass inside the box and coolly slotted past Walsh. The luckless Walsh was exposed again in the next minute. This time he brought down Murphy as they clashed. 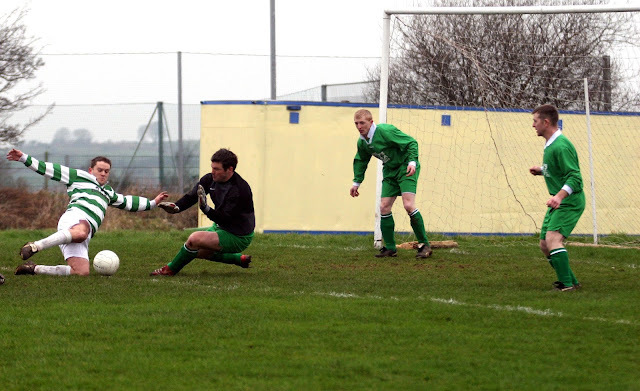 Eddie Cotter took the spotter and fired past emergency keeper Brian Carr to make the final score 4-1. Glenthorn Celtic: Darren Walsh, Alan Vaughan, Brian Carr, Mark O’Driscoll, Dave Barrett, Kevin Egan, Colin Dorney (captain), John McGrath, Darren Kennefick, Mick Forde and Jason McGrath. Subs used: Connie Kent for Kennefick (16th minute, injured) and Noel Dorney for Jason McGrath (67th). Greenmount Rangers: Brían Morgan, Pat Tynan, Ken Kelleher, Graham O’Donovan, Mick Murphy, Eddie Cotter, Shane McSweeney, Donal O’Sullivan, Tim Kelleher, Dougie Browne (captain) and Robert Kelleher. Subs used: Niall O’Riordan for T. Kelleher (61st minute) and Greg Cooney for K. Kelleher (77th).